Today I am happy to have with us dr Wolfgang Baier, CEO of Luxasia. Luxasia is one of the largest regional distributor of over 150 international beauty and luxury lifestyle brands such as Clarins, Estee Lauder, Ferragamo, Hermes and Shiseido and they also have joint ventures with the Coty Group, the LVMH Group and Elizabeth Arden. Present in 15 Asia Pacific countries, and hiring more than 2,000 full-time employees, Luxasia aims to define a new omnichannel experience in the beauty industry in Asia. 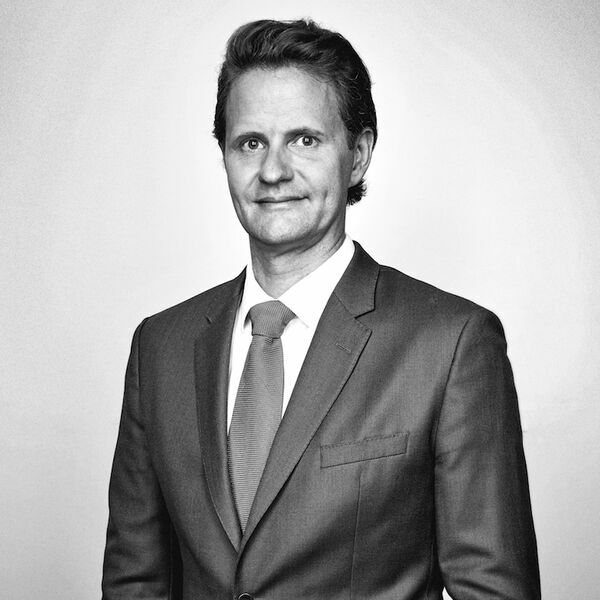 Dr. Wolfgang Baier has been the Group CEO of Luxasia Pte Ltd. since August 2016. He joined on a mission to transform the company from being the leading Asian beauty distributor into a Lifestyle Omnichannel Leader adding ecommerce and new industry capabilities to the brick-and-mortar foundation. Prior to this, Dr. Baier was the Group CEO of Singapore Post from 2011 to 2016. He successfully led the transformation of the Singapore Post Group from a traditional postal service into non-mail business such as logistics, retail and e-commerce and accelerated its global expansion. This resulted in a significant increase of the share price. Before that Dr. Baier worked for more than 10 years with the top consulting firm McKinsey & Company in Europe and Asia. He was a Partner at the Singapore office leading the Transportation and Logistics as well as Operations activities in South East Asia. Speaker 1:0:02Hello and welcome to the leaders in supply chain podcast. I am your host Rapala Palomar, you global supply chain practice head for Morgan Phillips Executive Search. Today I'm happy to have with us Dr. Volk gun buyer group, CEO of Lexia. Lexia is one of the largest regional distributors, have over 115 international beauty and luxury lifestyle brands such as Sclera. Estee Lauder Ferragamo Herrmann, and she say though, and they also have joint ventures with the coty group, the Louis Vuitton Moet Hennessy group, and Elizabeth Arden present in 15 and Asia Pacific countries and hiring more than 2000 full time employees. Lacks Asia. Aims to define a new Elmani, generally experiencing the beauty industry in Asia. Dr Volkow Byron has been the group CEO of Lexia since August 2016. He joined on a mission to transform the company from being the leading Asian beauty distributor into a lifestyle only Gen ed, editing ecommerce and new industry capabilities to the brick and mortar foundation. Prior to this, Dr Byron was the group Ceo of single proposed from 2011 to 2016. He successfully led the transformation of the Singapore post group from a traditional postal service into nonmetal businesses such as logistics, retail and ecommerce, and managed to accelerate it's global expansion. This resulted in a significant increase of the share price before that vulgar, and also worked for more than 10 years in the top consulting firm, Mckinsey and Company in Europe and in Asia was a partner of the Singapore office leading the transform transportation and logistics as well as operations activities in Southeast Asia. Welcome. It's a pleasure to have you with us today. Speaker 2:1:31Invested. Happy to be in. Speaker 1:1:33Um, so let's, let's, uh, let's start with a fun question, right? Uh, how many, how many fragrances do you use now and how many did you still use before joining Laksa? Speaker 2:1:41Indeed, you know, before I try and add maybe one or two fragmentary once in a while and I would say I must have more than more than 25, 30 fragrances now, you know, kind of, first of all, I want to try all our brands, you know, and understand the heritage. And then once you really fall in love with, with Francis, we're out to stop. It becomes a little bit like a collector's item. Wherever you smell something new, you want to have it, you know. So I've been infected. Speaker 2:2:26when he clearly has changed because we are now two years in our transformation to really kind of go much more into Omni channel retail. And I think that's the key word for us also, it's, it's not ecommerce on one side and, and return Yada, it needs to merge together. And so what we have been doing is, is, uh, quite a lot of things that I called to be under the hood between things that are not visible to the outside. You know, we have basically got our finance systems really in good shape. We have gotten all our hr systems now more and more into shape. We work on our supply chain, all our warehouses, we run our own warehouses and now you come to us ready, PTC and PTB, you know, and, and, and the list goes on, technology, order management systems, everything which you put in place so that they can now have the capability to work with our brands online, offline, and all of us have to consumer in the middle of heart. Speaker 2:3:16And on the topic of consumer, we partnered with salesforce.com where we basically rolled out kind of salesforce across all our platforms without brands, which means we can start to identify consumers online, offline and then give them really what they want. So really putting the consumer at the heart of what you do. Um, and, and you mentioned also that using only ecommerce in the beauty industry will not work, right? Because it's difficult. It is very difficult, you know, because the one is obviously kind of when you look at skincare products they see want to try the texture, you don't smell it for fragments, you know the smelling is still an important part of the discovery and for makeup cosmetics it's basically mostly seeing kind of how it looks on your own skin tone. Yesterday, technology evolving, you know that kind of. You have this magic neuros in lots of apps that can show you, but nothing really beats kind of the, the real experience. Speaker 2:4:09We see two segments in any commerce, one of the the price seekers people that really look basically for the product that in, in find the cheapest product, you know, this is a segment which is not that easy to work with as officially distributor where we keep up the retail prices and then we see the true beauty lovers who love to sit down and find new new areas. A kind of new kind of innovation and really like to do go deep into the history in those people you can invite for events but then do the purchase online. Basically repeat purchases on that. Because once people know the product, so it's very easy to go online, but I think that first discovery still has to have a physical touch. Yes. And you speak, you speak a lot about Omni channel writers of, of Lux Asia. How does and how does it feel and look like an Omni channel experience, a trademark law decision? Speaker 2:4:59Well, you know, we have over 150 brands occurring now, Noosa, so kind of for each brand actually our only experience looks a little bit different, you know, um, and at the core, and we mentioned it before, is the consumer, the consumer, the consumer that goes out and wants to buy beauty products. And then we need to make sure that wherever the consumer looks, we need to have a touch point that could be in a department store, that can be in a chain store, that could be in a hurry, that could be on the market place somewhere. You don't unending electronic market based. It could be in one of the brand sites or that could be on.com itself. And so we need to make sure that whenever we see that interest, it basically channeled it into kind of the system and make sure that the consumers didn't really take care of. Speaker 2:5:43It doesn't work always, but I think they're improving step by step in learning a lot on how you really kind of make those journeys for those consumer enjoyable. You know, when the first experienced something. So what's the timeframe that you want to get them again to try something, do you send them some samples to send them online, you know, and so forth. So. So there's a lot of those things that basically for the consumer it's almost invisible, but it should be done in the future. So I hope maybe artificial intelligence to anticipate what they're looking at once we have enough data points is obviously after a year we don't have yet. We should be able to cluster continuous and say hey this, this, this kind of consumer is kind of a true beauty lover and kind of going when they buy a fragment, you know, you can also kind of offer them potentially. Speaker 2:6:30So some, some of the adjacent products you can see whether they like some of the other skincare and so forth, you know, so that you start busy anticipating the wishes of the consumer and really helped them in, in that beauty journey. Yes. And probably it's a good idea if you manage to also kind of anticipate when they run out of stock. Right? So it's very important inflection replenishing there is issue which you know, we have about 20,000 sq and they're very, very different in the way basically behave summer, longterm no expiry to some are just seasonal, you know, two months, summer promotional, you have to give step two gifted purchases, you know, we have that, the stocks that get in churches for testers. So there's a lot of different areas and so our supply chain is pretty complex and the more we understand about the consumers, the more we can anticipate kind of how certain events work and kind of the data, the complaint filed supply chain and avoid, you know, not only the overstocks but I'll just talk out which they would be lost taste. Speaker 2:7:26Um, and, and what do you see as, as uh, because again, usually it's a little bit of a different market than there's a lot of different markets in itself compared to, for example, Europe or America. Do you see certain regional trends in the beauty industry and the ecommerce segment that a particular tool to Asia? I think you see clear trends in, in, in, in different kinds of ways how, how consumers appreciate pregnancies so that Southeast Asia for example, is looking more for heavier fragment says versus to further you're going to the north. It gets like the fragrances they sent me for skincare. You know, here in the tropics it needs to be very light skin care, you know, you can can't be toilet because you can't vary. And I think the same is true when you look at those brands that represented an ecommerce obviously. For example, in China there's a very well established kind of ecommerce ecosystem with Alibaba. Speaker 2:8:15We rechecked and everyone else you don't kind of really producing versus in quite a few countries in Southeast Asia it's still very nascent and in Philippines says a lot of social selling. You know in Indonesia there are a couple of websites but imputing not very well developed. Singapore is more developed, Malaysia's quite develop. Each of them has different players and different development stages. So it's quite interesting. Yes. And do you see, do you see lucksinger going into different markets with different aggressive. Our absolutely decisions we have to. Because what we try to do is we want to create a simple backbone for laxation where you have your supply chain. We had a crm system on it. We have the back systems and then each punch who can be easily adapt and touching to whatever they need for the market solution for Singapore with a very, very different compared to a solution in Vietnam. Speaker 2:9:06Yes. So basically you can test them and you have the backbone which is fixed and offers the, the, the foundation, and then you can customize the approach to the market and depending on the market conditions, even on the supply chain know the way was like, you know, because in some of the markets and labor cost is still very affordable, you know, basically you don't put the fully super ultimated warehousing system in robotics and everything in. But you basically scale it back, you still have the same information flow, the physical flow is different. And so we'd be clearly distinguished along all the function to say what's the best way to go out to basically make sure the consumers at the heart and then these images we have the most efficient layout around. Um, and, and, and we got a question coming back to a little bit to them. Speaker 2:9:49We discussed a little bit with the disturbed which, uh, a beer the recently, which is phygital, right? Which is basically the combination of the physical location, store location on the digital world. And we have some examples of burglaries and they have, I think retail theaters and magic mirrors and fitting rooms. You'll see Tommy Hilfiger and they have in store virtual reality headsets obviously for briefings is much harder to do. Right. But do you see such developments changing and basically shifting the developments of different department stores all over the region? Absolutely, because you can see consumers are looking for experiences. So just putting the bottles of perfumes or skincare or makeup is not enough anymore. So it's really about making sure you create an experience around it that can, can be kind of a cloud of perfume that could be workshops on a skincare that could be true makeup artists to make up. Speaker 2:10:43So basically putting more experience into retail and then how do we get people excited about it? How to get into this via the digital, you know, why the instagram campaigns and all the digital campaigns that people know there's something happening, they can cocreate it, then you put it together. And that's a classic example how busy port worlds come together. Yes. So basically a combination of online and offline. Um, what, we talked a little bit about the opponent, but what are the areas where you find still a lot of room for improvement in white spaces that she made in the industry? You know, for me to be honest and I always see improvement. It's basically a trade I have. Um, I think first of all, I think that let's start that by different function. I think in the back office and supply chains and the forecasting capabilities can always improve. Speaker 2:11:29I think once basically as an industry and also as, as, as a leading player, we kind of a much better equipped to church, new launches by the response on social media, basically certain responses of consumers and then basically put it into algorithm that allows you to know how much do I want to know in advance? How much do I move, how quickly with this stock moves. I think that's a real, a whole topic about forecasting predictability of stock movements, taking into account social media and other kinds of data points from reaching where it has already launched. You know, I think that that can help us, you know, when you look at it, the way you interact with the consumer, you know, it, it can become much more personalized in the future to become a person. You know, I took not be, you know, kind of five classes. Speaker 2:12:13No, it shouldn't be maybe kind of I'm, I'm, I'm over there a little bit, but it could be a million classes, you know, it should be the class of that consumer, but he didn't draw insights, but at the end of the day it needs to be very, very, especially narrow, very narrow. Exactly. And know the, the way you basically interlink ecommerce and, and department stores and chain stores. There's also quite some breakage still in that because it's different platforms, you know, obviously kind of changed. Those are going to integrate it. But when people come to department stores, you know, how do you not feel fully engaged him on, on the way out and so forth. So I think all the ways, all the different segments of the business, you know, there's a lot that one can learn. What I always say is most important is to have an open mind, you know, and that's what we discussed with our team a lot is because you can't really say where exactly the Chinese going, but you need to try it out and some ideas don't work, learn from it, move on. Speaker 2:13:08And I think that, I think the whole industry and associates as the leading player in the industry, we really want to see at Asia over time, it takes a leading role in beauty and, and how we basically treat the consumers are really fully kind of physical and digital integrated way. And we had a, we had a question to follow up on the phone with supply chain and the backbone. Right. We had a question also in terms of um, uh, investments specifically for Singapore because it's a relatively small size compared to the other Southeast Asian countries. Um, what opportunities do you think ecommerce in Singapore provides the investors and how the market shape up in the future? You know, when, when I basically started to talk about almost 10 years ago, you know, at that time there was not a lot happening. And I think that also explains why at that simple post we had a really good run there, you know, to, to, to, to, to move up because it was really at the onstart since then the landscape has developed a lot, you know, you have very large class here, you have the largest players in the world with Alibaba kind of subsidiary with Amazon coming in, you know, and you have the [inaudible] of the world and you have a lot of small startups, your friends. Speaker 2:14:14So I think that it's quite a vibrant place that fulfillment is also not a problem anymore, you know, from, from the pop stations and the local stations to house delivery that they're pretty cheap, affordable, lots of startups trying out. So I think that the landscape is right. I mean obviously you, you would like to have more of is obviously true entrepreneurs who trying to push the boundaries, you know, ecommerce in Singapore and trying things out. And so I think overall the capacity's there and Singapore will always be, I think is a very good launchpad for many of the ecommerce ideas for Southeast Asia because you have absolute stability, good talents and obviously you can try out a lot of things, but do you in terms of scale, you don't have to go up very quick into Southeast Asia because you know, it is five, 6 million, you know, and you want to have to $600 million. And so the thing is for us, you know, if he would not have a regional footprint, we could not invest too much into Singapore. You're not because we have all our special teams as a problem in Singapore, but they serve the whole region. And I think that's a very, very important for government. I also look at the ecommerce industry in Singapore. I think it's a fantastic test bed, but it's important for all of those companies very quickly to scale up. Otherwise you can't keep track. I'm on the investments because they will not pay off. Speaker 1:15:30Yes. And actually we had the, we had the, I'm not sure if you're familiar with this company called ecommerce, which is a very interesting company. We had, Paula was the ceiling on the podcast and then he was actually arguing that it's better for companies to start in a tough market like he started in Thailand because then you kind of learned the ropes in a, in a very tough environment. And then it's easier in some ways to scale in the other markets because each of them has their own demographics and almost set of drawbacks. Um, you've been on the sea level, right? Operationally both as a brand owner and then there's a service provider for, for ecommerce. What's the biggest misconception or misplaced assumption that one side has on the other? You mean you think the brand and distributor or A. Yes, yes. Speaker 2:16:16Be seated. Ms. Com section so much, you know, because um, I think that may have been in the past 10, 20 years ago. But now if, if the brand and the distributed work together to build a market and I really, more or less market makers, the consumers will not bite. You know, so it's also kind of trying to just sell something and hot, sending something, discounting things and putting into different channels doesn't work anymore. You know, what consumer wants. The consumer wants that they're original product, they wanted to have the right price and so I think when we look at our partnerships are the ones that work the best is the ones who have received open table, fully transparent on cost structure and everything else on the table and say these are the consumers, this is how we would like to to serve them. How do we make it happen together? Speaker 2:17:29used to be the, the main hindrance, you know, kind of it nine years ago, kind of that, that was really the challenge because they only really last night you had kind of available where to post to players, you know, outside of Singapore have challenges and they're, they're the very high priced integrators to Fedex to dhl and ups and non was actually able to, to really match it. I think spend a lot has happened, you know, kind of the poster players has beefed up their capabilities. You have gotten off new products coming in even from the integrators and then are a lot of startups who places started to fill up in the middle. He said, I forget. No, certainly not as you rightfully say the more islands to more problems and more challenges. So I believe third investment and, and adding a bit of a consolidation in the industry who would help the development economists a lot in, in, in, in Southeast Asia. Speaker 2:18:18So that's one. Um, so, so that you basically have sustainable companies that really put up infrastructure versus a lot of startups that basically growing go past, you know, because you have a lot of journals even in Singapore got a big, a big one is obviously kind of the teacher cheat the government to government kind of rules on imputation on cuties and, and, and how you basically create this, um, I can talk about it for awhile. The green channel for ecommerce within ASEAN, I think that would really rapidly see because if companies in any part of of ASEAN could access 600 million consumers by not having to wait for two weeks for, for customs clearance and intransparent kind of rules, obviously not in Singapore, but they're outside of it. I think that would be a huge bookstore and that could be not to this extent event that could really kind of drive the ecommerce industry to the next level. Speaker 1:19:08I mean, I know that they're working in this different asset osteon summits on, on this topic will probably, it will be, it will be a while longer. Speaker 2:19:16That's done. I'm a big advocate of a pragmatic pilot. Take two countries make happen and then everyone will see the benefits, you know? Yes. Speaker 1:19:24I'm moving onto the talent side, into the, to the human resources and basically the engine behind the growth of a lot of companies. Right. What's your main challenges when it comes to finding the right talent to push forward into the future? Speaker 2:19:38Yup. That's clearly they're the toughest part. At the same time, the most rewarding part. It was the CEO kind of. Sometimes police are surprised and I say I spend 70, 80 percent of my time and talent, but it is the fact because um, you know, at the end of the day you need to have a team in place and the team needs to have teams in place that understand where you're going. You don't, it's basically business as usual. And, and if, if people understand the transformation to say, oh yeah, just come to the office in a different way. And I, and I talk a little bit, but when I go back to my cuticles, asked him to do the same work, you know, they will all fail. So basically the motivation of the team, the assessment of the team, the bringing in of new talents is key. And someone recently told me also that he believes, you know, talent attraction is now more important than talent retention. Speaker 2:20:25I think that's quite a radical fault I would say, but there is a point dining because you can see, especially as a distributor like us, you know, where you are basically developing people in multifaceted areas in a lot of different areas. You know, we also been seen as a training ground for some of the big beauty companies that then take some of our business. So for us it's very important to have a pipeline of people to basically come in and, and, and China would be called Alex Asia family or the movement to basically have that ability to work across. So for us it's top priority, you know, talent attraction. We also basically changed the way we communicate with talents. Now we'll be making much more open, much faster. The decision process, much less hierarchical. We put in shelves to programs, you know, for a private company. Speaker 2:21:11Uh, quite quite a step that people feel my entrepreneur, so we want to put the whole environment in place. We have now just invested the quite some amount to change our Singapore office. We only have no more enclosed offices, which means everyone is sitting outside also to showcase, hey guys, you know, we are one team. It's putting everything in place so that talent's basic and see hey there's a great company that is basically playing in a field that I like beauty and we recently expanded into luxury jewelry and other areas. So that's a luxury kind of company that this is looking for talents and is ready to invest into them, you know. But you know, having said that, it's still not very easy. It's tough, you know, convincing people, making sure that people are happy when they come in because our piece is very, very hard, you know, really pushing very, very hard. Speaker 2:21:58And as such, you know, it is why I'm spending 70, 80 percent of my time on that. And let's talk about your direct leadership team. How do you, what are the qualities and the skills and the attributes that you're looking for in them? For the most important is mindset. You know, I'm, I'm, I'm not so worried about the capabilities. We can train that up, you know, especially at the top level, you know? Yes, of course if you run a supply chain function or if you're a cfo, it's good if you know accounting or certain views. But you know, I think there's a hygiene level, you know, the rest basically that the remaining 80 percent is about the mindset and the mindset we're looking for is people who are courageous, who are ready to step up. We're ready to make mistakes already too basic or sustained to those Mr.
Speaker 2:22:42mistakes. So it's the combination of courage and taking accountability that they're looking for. When people come in and say I want to change something, I will do it and I will let you know kind of if something goes wrong. And on the other hand, between digital and physical, they also want to see that no more dealers to basic understand there's a bridge between both, you know, we don't need the state of pure physical, we don't need leader. There's a digital. You'll start to understand it's actually and, and find those bridges and then can articulate them to their teams that people say, okay, just making a social media campaign alone is not enough. I didn't need to make sure that activation is translated also on the retail floor and the other way around. And so for us it's really about the mindset of, of courage and taking accountability and pushing the boundaries as well as understanding the digital. Speaker 2:23:27Physical is one. And I think this is to throw those leaderships that they really harness and want to make sure that they become part of our leadership team. And you'd like to call yourself or you prefer to call yourself a chief transformation officer, tell us a little bit, but why do you like this, this title and how does it impact your business? And you know, that, that, that, that to two side story, they had been out basically wanted to make sure that all our people in our company understand that. Um, we have an inverted pyramid. So we basically named all our people are the thousand over a fragrance computer basis in the retail stores, ceos, chief engagement officer. So you know, they were at the beginning, they were quite of scared about the title. But the good thing is now at least you know, your colleagues in, in my company, which is very helpful now coming back to the, to the chief transformation officer patent law or whatever they call it, I think it gets more, something will go on a signal to the company that transformation and especially digital transformation can be parked in a corner office on the side with the chief digital officer, chief transformational for something else. Speaker 2:24:33It needs to be a seal because if it's not the role model, if it's not lift every single day and all the decision you make, you will not be able to transform my humble opinion. And that's why BC obviously it kind of is actually kind of a much, much officer. The executive officer was only to make sure that the company stays on track and constantly challenged itself to say you're not every single day to say, Hey, what can we do different today? How can we change ourselves? How can we make sure that the consumer really understands we are there for them. Speaker 1:25:02Um, and, and how do you. This is a, this is an interesting set of the terrain, right? Because obviously the owner, Mr Mr John is, is somebody that has grown the businesses around the business, some of his, uh, his family or help you in running the business. Um, it's an interesting dynamic. How do you, how do you, um, how do you perceive it as an operating within the family business and whole? How, what's your experience of it so far? Speaker 2:25:26That's to very good experience for you. Pat Patrick is someone I'm learning a lot from, you know, because I'm in Patrick work in Patrick's words. He also said you don't kind of, we are a perfect combination, you know, because you know, he really knows the beauty and retail industry in Asia like no one else and I'm learning everyday kind of how really the dynamics are in each location, each country and how the different brands intact and at the same time I can bring him that, that digital transformation mindset and together we're really aiming to make lacks Asia and even greater company. And I think with that also in tandem, you said that the family, the employees, everyone understands that there is an absolute unity on the top between the chairman and the CEO to say, Hey, let's do something great. Let, let's put the money where our mouth is. We also basically put a lot of money into investments. Building up a completely new crm team. We have over 40 people in digital now for private company. Quite a lot of people, you know, and basically saying we're going down that trail him and be basically making sure that luxation kind of is transforming into the new age. And I think if you have a common purpose and a trust, I think it can work very, very well. Thanks for sharing. I'm talking about leadership. What do you think? Speaker 2:26:44that you believe every leader should possess? Um, as I said before, for me it's about courage and taking responsibility or accountability, you know, because one doesn't work without the added, just a courageous person. Then everything else doesn't work. And someone who basically says, I'll do everything but doesn't have the courage to, to train it, it's there. Why am I saying that? Because managing management under uncertainty is now normal. It used to be kind of cool, kind of one of these management. I even forgot all the different terms, but it was one. The last one typically mentioned. It's not everything you don't know, you know, the beauty industry, which beauty brand we will succeed in the next year. You said that have very different trajectories depending on which celebrity endorses time or what's innovation happens. You don't know how to consumers and moving. You do not let the geopolitical risks now kind of get with the challenges we have between China and, and, and, and the US, you know, which suddenly kind of import taxes and everything else, so every day's a new day. Speaker 2:27:42And so you need people who basically take the responsibility to say, okay, I'm here to make the decision. I'm not waiting for someone to, to cover everything, I'm making it, you know, I go out and make it within the dangers of the compact with the best interest of the company attack. And if things go wrong, I'll tell everyone, you know, because then together we can problem solve. And I think if you get that spirit, you can move very fast. Um, and, and, and then just going to add upon on point, right? Because you talked about transformation, talked about changing, what does it actually take to change culture and to have that buy in for transformation. Because again, when you're talking about big organizations is not easy, right? It's not as easy as it does take time. It takes a lot of time. And I was saying kind mindset change. Speaker 2:28:24This is not done in two to three years. It's a five to seven year training, convincing everyone understood why that the core ingredient for any human being to change is, is, is to understand the why, why are we changing, what's the urgency and so you need to articulating each different company. And in our setting it was clear that you're saying, hey, the industry around us is completely changing. The consumer's changing. The industry's changing. The brands are changing by themselves, so we don't change. If you don't come from much more to digital, if you're more open and understand the consumer better, don't know. At one point in time, no one needs to distribute anymore. And so that's something you need to get in. Everyone's mind that there is an urgency. It's not just because we woke up and said, hey, let's transform. It's basically because the industry is telling us and then very clearly, you know, we urges. Speaker 2:29:11You need to make sure why should people stay because they could say, well, you know, you're transforming. You know, I want the normal job. I go somewhere else. So you need to make it clear how people can learn and grow within such a transformation, which I've seen you know, in, in, in, in several of the situations I've been before, but people over four years, it came completely different leaders and were able to do completely different because they were empowered much more than they would not because it was a transformation. They were thrown into the cold water and then we're able to to swim very, very fast. And so you have to make sure that there is something to the question was what's in it for me? So you really need to address that and make sure people understand that. And I think if you put those both together to, into a story that people start to understand and you repeated a million times, you know, that's basically when mindset starts starts to happen. But then end at the very end of all is the role modeling. If at the top it's not role modeled the way you want all these vendors and this new change to happen, it will never happen. So you need to make sure that you basing on the ball and, and, and, and an example for, for the change. Speaker 2:30:53a lot, you know, because, you know, when you come over and you're still a work in a multinational environment and it's different than really working in Asian companies, you know. And, um, you know, I'm very grateful for, for the time here in Asia, there not only kind of business wise, it's super easy to be in, in, in, in a region that is growing constantly, you know, in an old mattress, but it's also kind of learning from the Asian culture on how to resolve conflict on how to basically a talking to chat out on how to basically preserve to face and, and, and thinking through that and then combining it with some of the western Canada thinking that you have about kind of transparency and, and direct access. So I think it made it really fun for me to, to, to work in that environment and, and, and I'm, I'm, I'm learning every single day and I personally believe it made me a better manager. So I'm basically have two parts to hearts and two brains now. Always deliberate, you know, when you go into a big discussion to, to, to, to think through and um, I think a bit more reflection on how you do things are certainly helpful, especially if you're come with the western European kind of mindset. Speaker 2:32:25for me, very simple experiment, experiment that the early stages in your career really find out what you like to do. Don't, don't be shy, don't be too afraid of, of changing jobs, you know, or trying out different environments. Find the environment you're best in because you're passionate is locked in. Everything else takes care of himself. So I think I'm mentoring quite a few students, you know, in, in my Alma Mater, the University of Exeter and, and so forth. And they always say, oh, you know, but there's two big firms and companies and some violence, but trade out, trust me now having been in the workforce for awhile, you kind of close to 20 years and I'm saying you don't want once in 10 years. It's not that easy. It's still possible. But you at the stage of career where I can really try everything out, have to confidence, right? People will always get a job and found a bunch of find your passion. That's when it really clicks. Yes. Thank you. Well, it's been a. it's been a very insightful sharing. Thank you for all the examples and the good, the good inflammation, and the good, the good news that you've shared with us and we wish you Alexis. Speaker 3:33:25Great. Thank you. Who is really interested in. Thank you for listening to a podcast. If you liked what you heard, be sure to follow us on Rapala Mario Dot com slash podcast. For all the show notes, links, and extra tips covered in the interview, make sure also to subscribe to our email list to get the news in the nick of time. If you're listening through a platform like itunes or stitcher and you're like what we do, please kindly review and give us five stars so we can keep the energy flowing. You'd get more people to find out about our podcast. I'm most active on Linkedin, so do feel free to follow me to stay tuned for our latest articles as well as future guests for the podcast, and if you have any suggestions or any other ideas, please feel free to write to me. I respond to all and also please make sure not to miss our next episode where we'll be having a few other c level and top leaders in supply chain joining us. Stay tuned.